Whether it is serving on an executive, lining fields, cleaning uniforms, collecting fees, or reporting scores, there appears to be no task too large or too small for our Volunteer of the Year, Jim Matheson. The North Delta soccer community has certainly benefitted from his countless hours of voluntary service. In the past year alone, Jim has been an executive member or administrator concurrently for three different soccer organizations in North Delta. In addition to his Vice President position with North Delta Youth Soccer, he was the administrator for the eleven team Delta Men’s Soccer Club, and chairperson of the Metro Soccer League, which operates competitive boy’s and girl’s programs. Jim also found time to manage the Delta Coastal Selects Division 1 men’s team. To say his week can be busy may be an understatement. He has undertaken the task of having the numerous North Delta pitches ready for competition. This includes lining, acting as a liaison with Delta Parks and Recreation, reporting on field conditions and helping with field allocations. If his weekends were not busy enough, there is his commitment to the men’s team. Short of coaching, there is little he does not do for this squad. A regular at all games and practices, he prepares the field, collects and cleans the uniforms and offers assistance in any way he can. And as if he weren’t busy enough, in 2016 – 2017 he was chair of the South Fraser District discipline committee. “I have lived soccer all my life!” Jim notes. Growing up in East Van, he played and coached for many years. After moving to North Delta and starting his family, his involvement in youth soccer in the area began in the early 1980’. 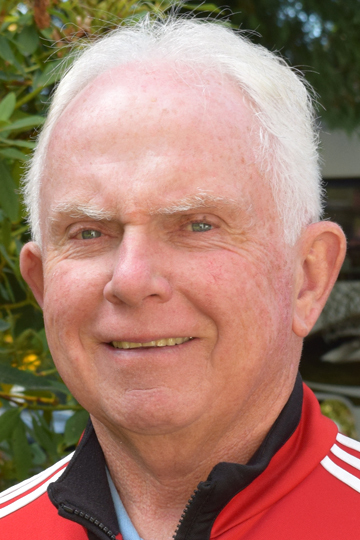 After almost four decades of service on the executive and coaching for 20 years, his contributions were recognized as he was made an Honorary Life Member of Delta Youth Soccer in 2010. In 2013 he received the prestigious Award of Merit from BC Soccer. In response to a question about why he continued to get involved Jim replied “Someone has to do the work, or there is no organization. I do it, because I want to give back to the sport, the club and the community.’’ There is no question that the North Delta community has benefitted enormously from Jim’s contribution to soccer.